MyHeritage is an ancestry DNA testing company born out of a passion for family history and entrepreneurship. It was founded back in 2003 in Bnei Atarot, Israel, by its current CEO Gilad Japhet and has since established offices in California and Utah. The company constantly expands its portfolio and geographic coverage in an effort to meet the needs of its many customers. 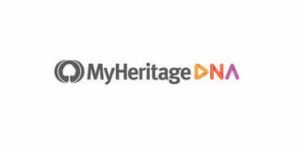 MyHeritage is definitely the fastest-growing enterprise on the market that combines genetic breakthroughs with genealogical data. Currently, its database contains over 2.6 million profiles, around 8.96 billion historical records, and more than 40 million family trees. With approximately 91 million users spread across 196 countries, it is one of the best companies of its kind on market. Keep reading our MyHeritage review to find out more about this unique company and its service. Flash DNA Sale: ONLY $59 + Free shipping on 2+ kits!! Registration – If you don’t have a personal MyHeritage account, you can create one on its website. If you do, you can disregard this section. You’ll have to provide your personal information and payment method in order to proceed. MyHeritage accepts Visa, MasterCard, Amex, Discover, and Diners Club. After registration, the company will send you a DNA testing kit. Kit activation – Once your kit arrives, you’ll need to activate it through your personal account. Sample collection – My Heritage has opted for buccal swabs instead of saliva or blood, which makes the procedure much faster and completely painless. Sending the sample back – Once you’ve collected your DNA sample, you can mail it back to MyHeritage for processing. Inspecting the results – The final report is usually generated within 3-4 weeks. When it’s done, you’ll receive an email notification to explore your results on the MyHeritage site. As a relatively new DNA company, MyHeritage encourages people to upload their previous DNA testing results from other companies, including Family Tree DNA, whose DNA test it used to sell before implementing its proprietary DNA test in 2016, as well as AncestryDNA and 23andMe. MyHeritage continues to work closely with Family Tree DNA and uses its DNA laboratory for DNA processing, which means these two renowned companies test the same genetic markers and provide the same level of test accuracy. Before we proceed, we need to mention that MyHeritage offers only autosomal DNA testing. Tests exploring chromosome pairs 1-22 are used for identifying your potential relatives within the database and matching you with them. DNA extraction – Since our DNA is “hidden” within the nucleuses of our cells, the testing procedure starts by extracting DNA molecules from the cells provided in your sample. This is done on a deep well plate, which contains 96 samples. The samples are injected with a substance that eats away at any potential contaminants, leaving the sample perfectly clean and ready for extraction. Lastly, the extraction robot is put to work, separating your DNA from the other materials found in the sample. You DNA is stored within two vials; one is left in a robotic freezer for potential later use while the other continues to the next step. Microarray process – This step “translates” your biological information into raw data. You DNA is copied multiple time in order to supply enough material for analysis. This process is called amplification, producing millions of copies of your DNA. Your digital data is then placed onto the Illumina chip, which binds it in a process named hybridization. Your DNA leaves “stains” on the chip, allowing the laser to read different fragments. Finally, the iScan chip scanner will read the chip and produce an image of your DNA strain. Raw data production – Once your DNA data has been obtained, it is loaded onto a highly secured server and analyzed by data scientists and automated algorithms. This produces your raw DNA data and associates it with the unique number of your kit. The algorithm will calculate the estimate of your ethnicity by “connecting” different pieces of your DNA signature with corresponding regions of the world. Simultaneously, your DNA will be matched with all other users who uploaded their raw data or took MyHeritage DNA test. Data subscription (13.27$ per year) – This plan allows you full access to Record Matches and SuperSearch. Additionally, you can save your historical records right onto the profile pages of people in your family tree or extract records to your family tree. MyHeritage Premium subscription (9.17$ per month, billed annually) – This option offers up to 2,500 individuals in your family tree, priority support, Family Tree Builder Premium, enhanced Smart Matching, and access to MyHeritage family sites and collections of members. MyHeritage PremiumPlus subscription (10.95$ per month, billed annually) – This plan offers an unlimited number of people in your family tree, priority email support, Family Tree Builder Premium, enhance Smart Matching, Tree Consistency Checker, MyHeritage collection, and full access to Instant Discoveries, which allows you to add photos and additional branches in one click. Non-paying members have a limit of 250 people in their family tree and 500 MB of storage space. They also have access to Family Tree Builder and SuperSearch and can contact their DNA matches even if they uploaded their results from other companies. Ethnicity estimate – This section will provide a comprehensive overview of your unique DNA composition. You will discover the historical origination point of your genetic ancestry and the number of ethnicities taking part in your DNA. Your ancestral ethnicity will be expressed in percentages for each region relevant to your DNA. You’ll also be able to view life events of your ancestors on the ethnicity map. These include things like birth, marriages, and death. For an enhanced view of your ancestral history, you can also inspect the PedigreeMap, which is free for all users. DNA matches – The algorithm will compare your autosomal DNA test results to family trees in order to identify matches with a family relationship. For every potential match, you’ll see three genetic parameters; shared DNA will indicate the percentages of overlaps with other individuals who took the test. You’ll be able to see the length of the shared DNA expressed in centiMorgans (cM); shared segments will show how many pieces of your DNA corresponds to that of a potential genetic relative; the largest segment is the one enabling MyHeritage to identify the overall likelihood of a genetic relationship. The larger the shared DNA segment, the higher the possibility of a DNA match. 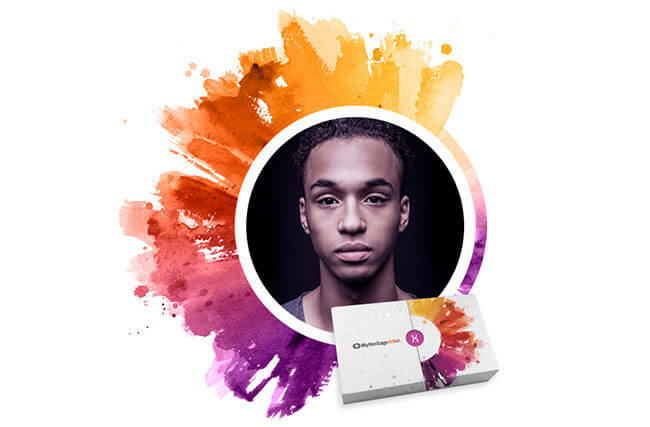 MyHeritage also offers a very useful tool called “Chromosome Browser,” which allows you to manually compare your DNA signature with those of your genetic matches and find shared DNA segments. The company improved the tool to allow for a simultaneous comparison of your DNA with up to 7 DNA matches instead of just one. In other words, Ono-to-One Chromosome Browser has been upgraded to One-to-Many Browser. Easily reference your comparison sets at all times – Once you select your Chromosome Browser comparison set (DNA Matches you want to compare your DNA with), the DNA Match cards will remain docked on the top of the page as you scroll down. Review/contact your DNA Matches directly from the Chromosome Browser – When you hover over any DNA Match card on the main page of the Chromosome Browser, three dots will appear in the top-right corner of the card. Once you click on them, you’ll see a drop-down menu that allows you to go to the DNA Match Review page and contact that particular match and the manager of the DNA Match kit. Use indication for triangulated segments from the DNA Match Review page – MyHeritage added an indicator for shared DNA Matches that possess triangulated DNA segments with you and the match you’re currently reviewing. To put it simply, triangulated DNA segments are shared between you and one or more DNA Matches. They are, therefore, most likely inherited from a common ancestor. You can modify or delete your personal information from the site anytime you want. MyHeritage services are not recommended for minors. When you place your order, your personal MyHeritage DNA testing kit will be shipped within 1 business day. The exact delivery time depends on your location and postal service. It usually takes between 4 and 7 work days for deliveries within the US and 8-12 work days for international shipping. You can also choose the express option for an additional fee. The moment MyHeritage ships your DNA kit, you’ll receive a direct email notification with all the details that’ll allow you to track your shipment. You can track the status of your kit from the moment MyHeritage receives your order up until your raw data is produced. To do so, simply mouse over the DNA tab on the Home Page, click Manage DNA Kits, click on the three dots on the right part of the screen, and select Track kit. Note that MyHeritage DNA testing kit doesn’t come with a pre-paid mailer, which means you’ll have to pay the postage expenses to mail your DNA sample back to the lab. The postage price depends on the chosen shipping type and your local postal rates. The weight of the provided envelope with the two container vials is 10 grams. Note that shipping DNA specimens from Brazil has different requirements explained in the manual provided with the kit. Although MyHeritage primarily focuses on genealogical research, the company has made revolutionary strides in ancestry DNA testing and surpassed some of the top players on the market. With the implementation of DNA testing, MyHeritage has completed the circle, becoming one of the best companies to help you uncover the secrets of your genetic and historical origins. We hope our insight into the company’s service helped you make the best choice for demystifying the past of your family tree. Our ratings are the result of an objective and independent evaluation of MyHeritage, generating the final rating that reflects the overall quality of the company. Ratings may change as the service changes. MyHeritage user rating based on 27 user reviews. Education is key in this story. I totally agree with Fernando Sosa. And also, most of human 'races' are mixed. The fact that your parents might have a specific type of DNA does not directly mean that YOU got that DNA as wel since you have a mother and a father. High school biology classes should've told you that you get the half of your "DNA package" form your mother, and the other half of your father. If you happend to not get the parts of DNA with information about wherever you believe you are from, there is a good chance your parents have the DNA, and you simply don't. Your siblings might even have it, it's all about chances. Wiiliam Wallace was Scottish, not Irish. The Cherokee people, who moved from the east during the Trail of Tears had been mixing with other races for centuries before you ever came along. People of European decent have been proven to have lived in the area for almost 9000 years, so yeah, there's a good chance you have no native blood, which is why DNA tests cannot prove native american ancestry. Especially Cherokee. I suggest in the future you read the fine print and educate yourself on who the Cherokee and Irish are before blaming someone else for telling you what you really are. The more tests they receive, the longer it takes. It took 3 months to get mine from FtDNA. Be patient.....geeezzz. I was so happy with the clear concise way the lady explained a DNA question. i now realize I can add as many DNA results to my tree to check unknown connections and follow if maternal on paternal ancestors. 5 stars. Yes of course! So far my experience with MyHeritage has exceeded my expectations. Not only has the Smart Search feature allowed me to turn up unknown members of my family, the feature has also allowed me to see immigration records, census information and newspaper articles going back into the 1800's. I would recommend MyHeritage to anyone wanting to do a serious search on your heritage. I have been a fanatic about my heritage, genealogy and ancestry for some time now. The name of this organization fits it perfectly. I started my family tree a while back but always hit a road block. My family ordered me a DNA kit for Christmas and has been an addiction since. I signed up for the premium service to challenge myself along with finding additional family members, so that I may pass it along to my child and share this information with my immediate family as gift. My Heritage provides a highly professional genealogical service. I have gained significant insight from the "hints" that are provided. I have communicated with the phone staff on two occasions and found them to be highly knowledgeable, professional and courteous. I would highly recommend MyHeritage to all that may ask. A great service provided. I have had my DNA tested through two unrelated organizations and uploaded the raw DNA to both MyHeritage and two other unrelated organizations. For those who question the ethnicity results MyHeritage provided them, I highly recommend you download your raw data and upload it to other organizations (often a free service). Each organization reportedly compares DNA results with their own database, so my ethnicity, as well as that of both my parents and my children, is vastly different between some of the organizations. Ironically, the percentages MyHeritage provided coincides very closely with what I would expect, given my genealogy and known ethnicities (between 7 and greater generations back). Very interesting results from my DNA. Not entirely what I expected having researched my family history. However when I called to discuss, the help and explanations were excellent and also gave me a better understanding of how our DNA is made up and how we inherit it. I got one test done for myself and it was amazing and soon after I had a second one done for my husband. We asume that we know where we come from but you’d be surprised. I have to say too that the customer service is excellent. Thank you Maor for answering all my questions with such kindness. There's nothing more exciting than finding out where you really come from. I was so hyped with this test and the results didn't disappoint. I also bought one for my husband and we're currently waiting for the results and betting on his origins. I thought the procedure would be a nightmare since I didn't know squat about dna testing. Contrary to that the instructions were pretty easy to follow and the whole experience was so much fun like exploring chapters of history nobody knows nothing about. The only difference, I'm the main character in that history. The results came pretty quickly and were definitely not what I expected to see. My Heritage helped me learn more about my origins and get to know family members I never even heard of. The testing is pretty simple and the results were more than insightfull. I recommend it to everyone who want to leanr more about themselves and their family. Advice..... educate yourself on how DNA works and how DNA test results work. That's where your problem is. I have heritage and ancestry. They both fave he same information the only thingnwoth ancestry is that they pick and choose who you share DNA with. So like my grandmother and aunt are on ancestry. It will show that me and my grandmother share DNA with someone but not my aunt. Even though she is her daughter. Or it will show two of my cousins share DNA with someone but not their sibling. For myself heritage has been more accurate and less confusing. "DON'T WASTE YOUR TIME OR MONEY" I ordered a "my heritage DNA kit" and sent in a sample of my DNA. When I got the results I knew the test was just a Guesstimation. I have the family tree background of my family all the way back to the mid 1700's. The test stated I was only 1.7 percent Irish but my Moms familys last name is O' Madden and my dad's is Farley. Our family has an Irish crest and came from Ireland 2 generations back. Both my mother and fathers family have family trees that reflect our Irish background. I've seen actual DNA comparisons between the different DNA companies showing massively different results. One person on "23 and me" showed 37.7% english but only 7% on the "MY HERITAGE DNA" this is a great idea but it still has a long way to go before it's accurate. History lesson, folks. Not all people from Ireland are from..... Ireland. Heck, there is evidence that the Irish red hair originates from Egypt and DNA evidence has also shown that those folks from Egypt, were Caucasian. At least the ruling class were. I agree with Dan. I come from an ancient Scottish family and also strong presence in Ireland, and none of them showed up at all! This is from my father's line, but it seems as if only the matrilineal line showed up in the test results. Not worth the time and money as I feel this testing is quite inaccurate. I have bought kits from two other sites and tried to order from MyHeritage DNA a few days ago. The homepage and links showed kits at $49 with purchase of two. Several times I put two kits in my cart, and I was charged $59 plus shipping for each. I tried to call, but they were closed. I couldn't find an email address so, after a long search, I messaged them on facebook. I received a reply the next day with a request for my account number. I sent my account number, but no one responded. They might be busy Christmas week but not to honor the banner on their website the entire day I ordered is poor customer service. It's actually false advertising. Easy to use product, much cheaper than other services on the market and yet as good. Great video showing your ethnicity results. Many of you here giving the low ratings don't seem to understand what exactly a heritage DNA test can tell you. In a way it's nice to hear so many with their incredible belief in what science can tell you, unfortunately putting anything on such a high pedestal tends to lead to disappointment. It can only show you what you inherited from your parents (and it's a random selection from 50% of your mom's and 50% of your dad's and to make matters more difficult, your siblings may have gotten different bits of DNA than you), not everyone who is in your past, meaning, even if it doesn't "show up" in your test you still may be part of that ethnic group. Even then, only a very, very, very, small percentage sample of our 7.5 Billion human population has had their DNA tested and made available to match. That's why they're estimations, it only compares and shows the areas of people that are similar to your sequencing. This is why to piece apart your estimations, having an accurate family tree can help establish your heritage.I like to think of it as an extra confirmation of my genealogy research and the more confirmations you have, the more accurate your information is. Such as ResearcherX shows a great grandmother was born in France and no other g-grandparent shows up as French (but I'm not 100% sure this is the right person, the name is spelled incorrectly, the birth/death dates are somewhat off), the DNA test says 10% West Europe, France falls under West Europe, 10% is very close to the flat 12.5% we correspond to one great grandparent, seems like a match. More confirmation that your research is probably correct.Also, sometimes you get lucky and people in your tree you didn't know about take the test as well and you can get a hit and new information can be had by sharing with them. I don't understand why my Ashkenazi (European) Jewish Relatives appeared in the matches, but my Mizrahi, Italian and Greek, didn't. This, after thousands of names were scanned. The service was ok but I'm not satisfied with their matching ability since they didn't find much to be honest. Matching has been updated and works well now. Re-check your match list. They do have a ton of old photos and stuff like that but their dna test isn't worth it. I found a ton of people in different family trees and got in touch with a bunch of relatives. Come on guys, just put the damn prices on the site. It really pissed me off that I had to send them an email in order to find out how much their service actually costs. 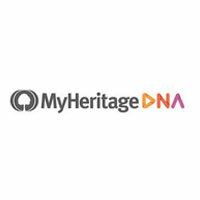 We found 2 verified MyHeritage discounts for April, 2019. ONLY $59 + Free shipping on 2+ kits!! Free DNA Results Upload your DNA data to MyHeritage and receive DNA Matches for FREE! Sign up and we’ll let you know about future MyHeritage promo codes. If you like MyHeritage but aren’t sure whether they are truly the ideal choice for you, you may want to take a look at our comparisons below to discover if one of their competitors is more suitable for you. If you want to go beyond our MyHeritage review and learn even more about the company and its services, our collection of MyHeritage guides offers just the information you are looking for. Browse the articles below to find out all about MyHeritage testing accuracy, prices, testing kit, corporate legitimacy, features that set it apart from the competition, and much more. The world of genetics, biotechnology, and at-home DNA testing is vivid beyond measure and brimming with never-ending news and updates. Browse our MyHeritage news section below to stay up-to-date with its latest features, service improvements, opportunities to take part in genetic research, all sorts of corporate projects, and much more.